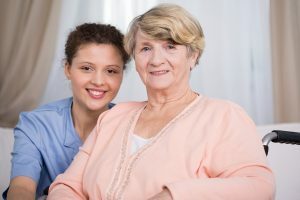 Hospice care is appropriate any time after a doctor has estimated that a patient has six months or less left to live, and both doctor and patient have decided to move from active curative treatment to a regimen more focused on quality of life. The prognosis might mean the person has several months of rich, full life in front of them or just a few days. Hospice care can help anyone on that spectrum with a full range of direct care, emotional and spiritual support, advice, and information. We can also help friends and family of patients through the periods before and after the end of life. For more information, check out Common Questions and Hospice Misconceptions. Heart & Soul Hospice offers a range of hospice services to you and your loved one, including nursing care, social services, grief and bereavement services, and therapy services. The decision to request admission to Heart & Soul Hospice means you will never be alone. Your physician and hospice team will work with you, your family and caregivers to establish your personalized plan of care and establish clinical goals for pain management and symptom control. To begin receiving hospice care, you will meet with the specially trained staff of Heart & Soul Hospice. We will have conversations centering around the hospice philosophy, as well as pain and comfort levels, support systems, financial and insurance resources, medications and equipment needs. Therapy services as needed for symptom management. Beginning with the start of your care and continuing for 13 months after your death, emotional support is at the heart of care through letters, phone calls, and visits, as requested. Chaplain services spiritual and grief support from the hospice Chaplain, who will coordinate with your clergy member, or spiritual advisor at your request.